The National Archives of Australia’s Mitchell storage facility is reportedly in such shambles that they are taping down floor tiles which potentially contain asbestos. Federal Parliament’s Public Works Committee pondered evidence put forth regarding plans for an almost $100 million preservation facility to alleviate the pressure on the existing centre which is so full that it can no longer accept classified documents. Labor Senator Ann Urqhart remarked that she had noticed at least one tile being held down by tape, on a visit to the storage site. Urqhart inquired as to what plans were in place to guarantee the safety of the staff in the event that asbestos was conclusively discovered. Defence Housing officials informed the committee that a nearby school had been consulted by ACT planning authorities about development of site. Defence Housing also planned to communicate and work with the school. 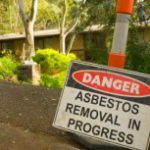 The ACT government is thinking about taking legal action against the Federal Government over the steep cost of cleaning up asbestos. Chief Minister Katy Gallagher discussed her unsuccessful attempts at convincing the Commonwealth into funding some of the clean-up costs from when it dumped a significant amount of contaminated soil in Canberra. Gallagher claims the ACT government spent approximately $30 million to clean up and resign in the new Molonglo development. 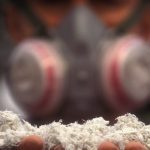 Almost 180,000 tonnes of asbestos were reportedly removed from the site by the ACT. A site with 600,000 cubic metres of contaminated waste in Eastlake is expected to cost about $100 million to remove. Gallagher strongly supports the ACT in their quest to convince the Commonwealth to contribute. The support she has stems from the belief that since the former government authority allowed such practices to occur then Canberra tax payers should not be held liable. However, the Federal Government is expected to counter on the basis that since the land was transferred to the ACT, liability did as well. The position of the opposition is that tax payers should not be held financially liable for the “incompetence” of the former governing authority. Workers are concerned that the state’s biggest asbestos-removal site is risking safety by frequently breaching procedure. Worker’s anonymously contacted The Advertiser news source and informed them that are doubtful that the correct removal methods were used in the first four months of the project. 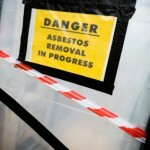 These four months involved the clean-up of 93,000 sq m of asbestos sheeting on the former Mitsubishi manufacturing site. SafeWork SA officers visit the site frequently and have had inspectors issue statutory notices for non-compliant work practices. 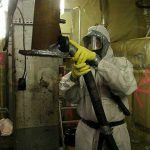 Some of the breaches include a failure to comply with PPE (personal protective equipment) requirements for asbestos-removal. However, there have been reports by former workers (who have quit) that the dangers extend far beyond PPE issues. Some issues have been cited regarding the handling of asbestos sheeting once it is removed from the factory structure by DE-Construct. One worker stated that sheets were simply “dumped” into trucks with a plastic lining, causing airborne asbestos particles and dust. Workers have also cited concerns with the thick cloud of dust in the factory that they believe may contain asbestos. A spokesperson for the company stated that the company’s top priority was the safety of their workers. 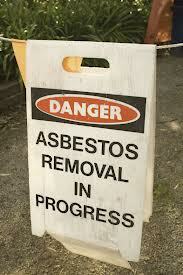 Asbestos removal is being carried out according to EPA guidelines and under the watchful eye of SafeWork SA. 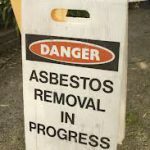 The State Government has stated that air quality monitoring on asbestos removal projects, will remain mandatory for an additional year.Industrial Relations Minister, Russel Wortley, after undergoing the pressure of lobby groups, has stated that the current rules would remain for period of 12 months. South Australia will (over the next year) lobby for the mandatory air-monitoring for “Class- B removals”, in the harmonized occupational health and safety regulations. Wortley has stated that the decision of the government is a response to the concerns of industry affiliates and stakeholders.The asbestos that will require air-quality monitoring is the non-friable type of asbestos. Non-friable asbestos is commonly found in solid material and cannot be crushed manually when in a dry state. Andrew Butler, a committee chairman for Steering, went on record to say that the 12-month transitional period to uphold air-quality monitoring is a significant improvement .There are concerns that dropping the mandatory monitoring would risk exposing workers to the deadly substance and subsequently, exposing them to a deadly disease. Wortley asserted in a conference, that diseases related to asbestos exposure continues to kill hundreds of Australians each year and plagues thousands of them with symptoms. No indication yet on if the air-quality monitoring will be a permanent addition to the harmonised laws. Asbestos is a dangerous material. Just how dangerous it may be depends a great deal on your exposure to it. 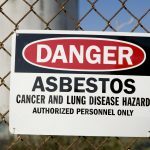 Workers in certain fields where asbestos was once used as a matter of course may come in contact with this material unexpectedly in the course of their work. In other cases, there are people who remove this material from businesses for a living. The type of Asbestos training you need depends a great deal on the risk this material will expose you too. That is why it is important to understand the difference between Asbestos awareness training and the more detailed Asbestos training for a B class license. This will explain the key differences between the two types of training. The first key difference in the two types of training is the objective of the training itself. 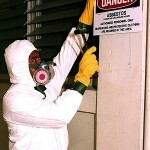 The objective of the Asbestos training for a Class B license deals with actual asbestos removal. 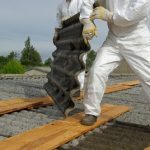 The people who take this training are people who know what bonded asbestos looks like and already have had some experience dealing with asbestos. 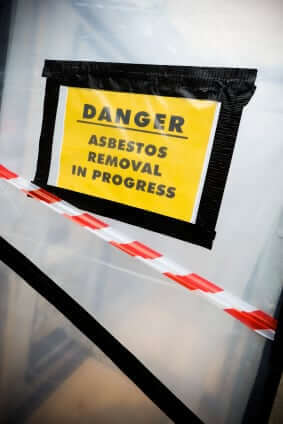 Asbestos awareness training does not deal with asbestos removal but rather keeping workers safe who may hold jobs where they may run into asbestos in the course of their work. This training is geared towards teaching workers how to recognize the presence of asbestos rather than removing it as a matter of course. 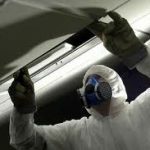 Asbestos awareness training focuses on a worker being able to recognize what asbestos material looks like, the likely place where it may be found in the course of their work, and what action they should take should they run into this material in terms of reducing their risks, reporting the asbestos etc. This course’s main focus is on keeping workers from unknowingly subjecting themselves to the risk of asbestos exposure rather than focusing on the safe removal of the material. Training for the B class license on the other hand focuses on the safe removal of the material by trained professionals. This training focuses on making sure that those actually dealing with asbestos removal knows how to control exposed asbestos material. 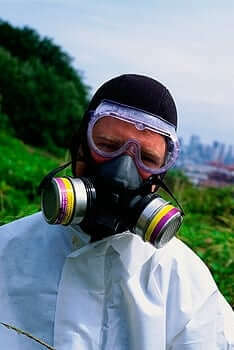 Part of the training deals with how to minimize the risk of exposure to asbestos fibers, and ensuring that those taking the training know how to use the personal protection equipment that will help to minimize their exposure. It should be remembered that Asbestos training for A B class license only deals with the removal of bonded asbestos materials such as fibro. Those wishing to remove unbonded asbestos will need to have training for an A class license. Knowing which training course is right for you is not only necessary to be in compliance with the regulations dealing with this dangerous material but also in giving you the right training you need to reduce your risks and better perform your jobs.